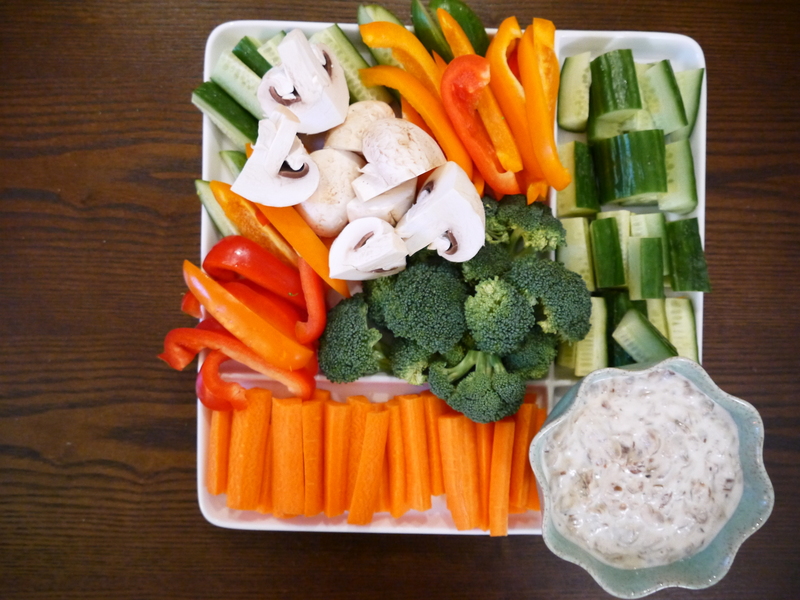 I try to avoid bringing a veggie platter to a party – not because I don’t love my veggies. I Love my veggies! But I also love to bake, and a party is usually a great excuse for me to bake something. When I recently ended up agreeing to bring a veggie platter to a party, I began looking for something to make it special. Then I came across this recipe . . . 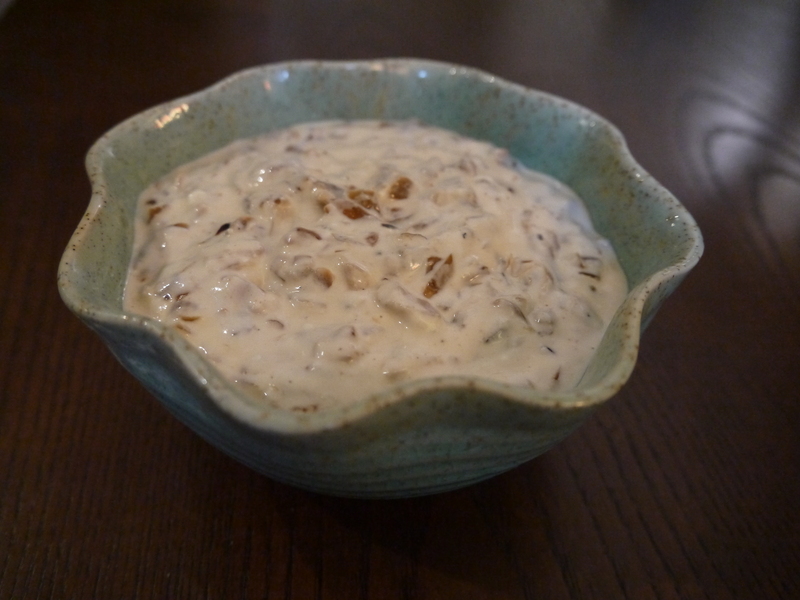 This dip is a great low-fat alternative to the usual sour-cream based dip. It is a homemade version of the standard from my childhood, French onion soup mix and sour cream. It’s a bit of work to chop and then caramelize the onions, but the flavour is so worth it. I found the recipe on crumbblog. Heat the oil in a large frying pan (my cast-iron one worked great for this) at medium-high heat. Add the onions and cook for 10 minutes, or until they are just starting to colour. Reduce heat to medium-low and continue cooking for 20-25 minutes, stirring from time to time, until the onions are golden brown and caramelized. If the onions get too dry at any point add a tablespoon or two of water to avoid burning, and continue cooking). Stir in the garlic, salt and pepper and cook another minute or two. Remove from the heat and set aside to cool. In a mixing bowl, whisk the mayonnaise, then whisk in the yogurt, lemon and Worcestershire until smooth. Stir in the cooled onions, salt and pepper to taste. Put the dip into a serving bowl, cover and refrigerate for at least an hour or up to two days to allow the flavours to mingle. Tip: Peel and cut your own carrots for your veggie tray. They will taste so much more like… carrots.